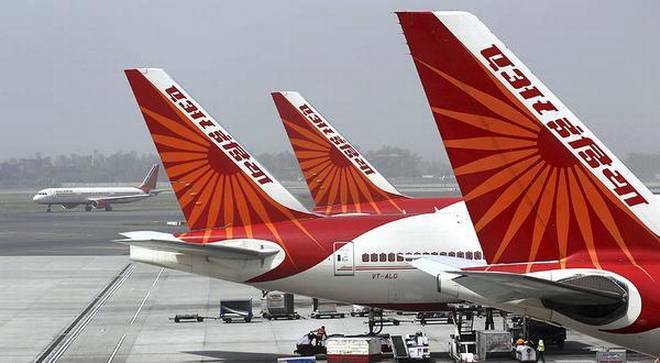 THE government expects to mop-up about Rs 9,000 crore by selling off land and real estate properties of debt-laden Air India, an official said on December 3.
had last week approved transferring Rs 29,000 crore debt to a special purpose vehicle -- Air India Asset Holding Company. Last week the ministerial panel on Air India disinvestment had cleared strategic sale of Air India ground handling subsidiary Air India Air Transport Services Ltd. The proceeds from sale of AIATSL will also be used to reduce the debt held in the SPV. It earned Rs 61.66 crore profit in financial year 2016-17. "We are going step by step to reduce the debt of Air India. When we hit the markets again with strategic sale of Air India, potential investors will find it lucrative to purchase the carrier. These are all steps towards sale of Air India,” the official added. The government had originally proposed to offload 76 percent equity share capital of the national carrier as well as transfer the management control to private players. It was decided to make Air India competitive by way of cutting down debt and raising resources by selling land assets and other subsidiaries.